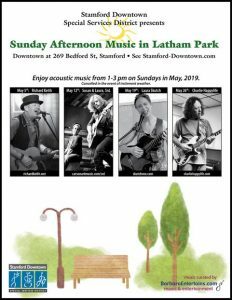 Sunday Afternoon Music in Latham Park | Stamford Downtown - This is the place! 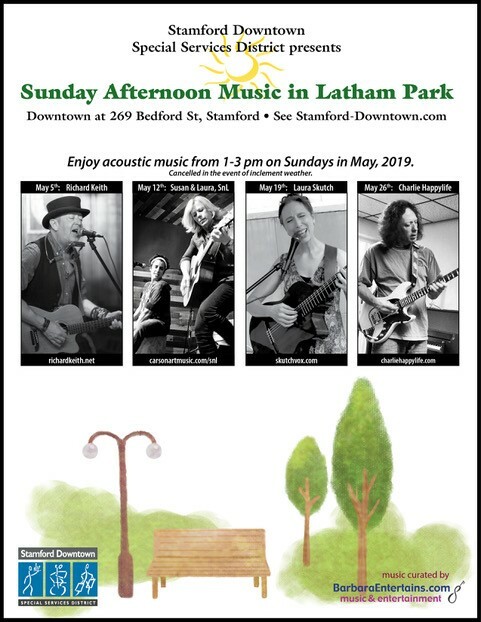 Sunday Afternoon Music in Latham Park curated by Barbara Occhino (BarbaraEntertains.com) is part of Stamford Downtown’s newest programming,. 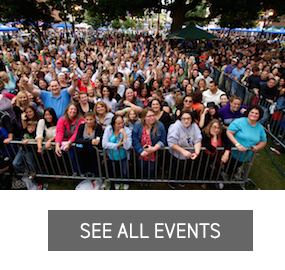 It is part of a placemaking series of events that is taking place in Latham Park this summer. All throughout May, Sunday afternoon 1-3pm, the artists below will be playing enjoyable soft tunes to park goers. Come with a picnic basket and blanket and enjoy the sweet sounds of acoustic music. 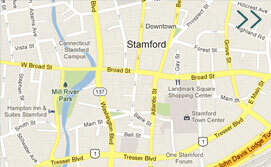 Kids Draw Free will be on hand too for the little ones to color and paint a craft or two.